The Nigeria Police has confirmed the existence of armed militia groups in Benue State, countering Benue state Governor, Samuel Ortom’s claims. Recall that the Benue State Government had denied arming militia to defend themselves against the marauding Fulani herdsmen in the state. 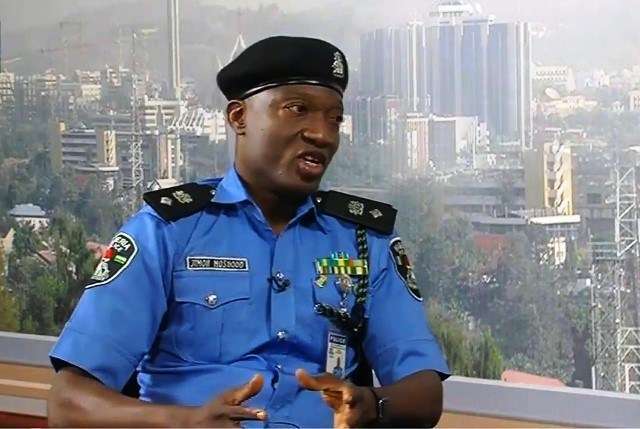 Reacting, the Force Spokesman, Mr Jimoh Moshood, speaking with Channels Tv said police has evidence showing the ranch guards who were inaugurated by the state government armed with proficient weapons. Moshood noted that investigation is ongoing to reveal sources of the militia groups, adding that it was unlawful for any person to be in possession of arms without the consent of the Federal Government. On Ortom’s claims, Moshood said: “Yes, I’m disputing that because we have evidence that they were armed with AK-47 rifles.Yes, they were armed with AK-47 (riffles); we have records, we have footage and you can’t just start arming people. “There are a lot of militia groups equally in Benue and we are looking at all those areas to ensure that the actual perpetrators of this mayhem are promptly arrested. “People who are supposed to ensure that when they observe (you say you have a guard) and report back to the police that would probably do the appropriate thing; if such a guard is armed with AK-47 rifle, how do you control that, how do you prevent such AK-47 (riffle) from going into wrong hands. “It is equally important for people to know that we are investigating that, we must know the source of these AK-47 rifles. “Any organisation that you are setting up before you can carry firearms must be approved by the President and Commander-in-Chief of the Armed Forces of the Federal Republic of Nigeria, and it shouldn’t be a prohibited firearm.